Successful house flipping is an art and a science. Some investors perfect it and go on to flip dozens of houses a year. Others have more modest goals, but make a profit on each house they sell. Whatever your ambitions, it’s important to make that first investment profitable. 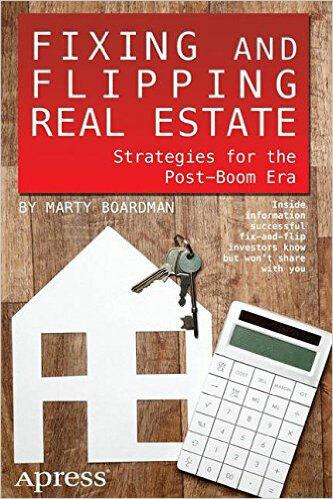 If your first flip is a flop, your career as a real estate investor will be over quick. Luckily, the house flipping community is a generous crowd, and many investors have shared their experiences (and their financial details) for the next wave of flippers. 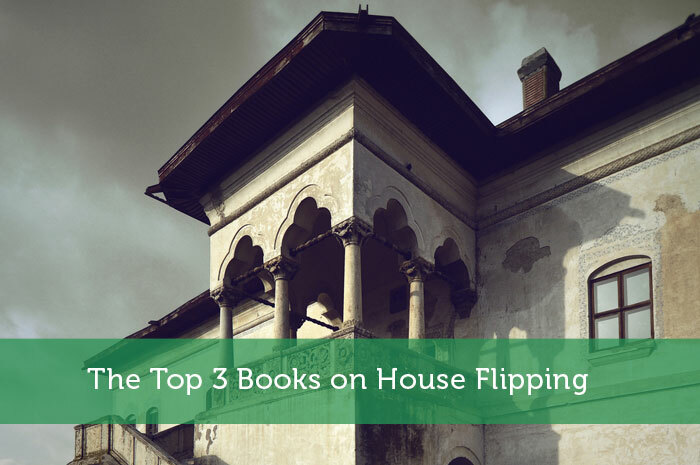 I’ve picked out the 3 most helpful books on the subject, ones that have saved me a lot of mistakes during my own first flip. Feel free to check them out. If you peruse the real estate section of a good bookstore, you’ll see a lot of top celebrity real estate barons boasting of their prolific success flipping houses. These tend to be stuffed with fluff and braggadocio. 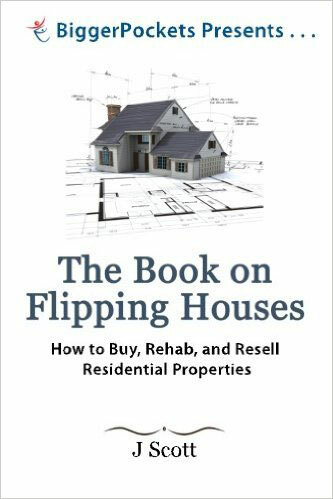 In contrast, it’s hard to get more down to earth than Mr. J. Scott and his simply titled Book on Flipping Houses. I love this book, because Scott guides you through the early successes he and his wife shared in their first investments. Their finances are laid bare in many situations. You see what went right, what went wrong, and what enabled them to grow their business to a size neither of them would have dreamed of just a few years before. Scott provides clear, actionable steps to make sure your first home investment is a home run. I would recommend that you read this twice before making a purchase. If you like it, check out his companion piece, the equally Google-search-sounding Book on Estimating Rehab Costs. These books will save you lots of headaches and a tremendous amount of money. In the view years since its publication, FLIP has become something of a classic in the field. Villani offers something new investors desperately need before jumping into a first project: a reality check! First timers can hardly appreciate the extent to which things can go wrong. There are lots of ways to underestimate costs, so many surprises that will make you lose money. But Villani doesn’t just rain on your parade. He can also tell you how to make it work. He’s a real investor with years and many houses under his belt. All of the authors I recommend are investors first and writers second. They communicate the reality of real estate investment, and FLIP is a beautiful example of this. It’s a favorite of many investors who have gotten their start in the past 5-7 years. “Post-Boom” is an important detail. In many markets, house flipping has gotten a lot tougher than it was a decade ago. However, just because margins are tighter, doesn’t mean you can’t make a tidy profit. Boardman’s goal is to make you a meticulous real estate investor. You’ll learn how to select the right city/market, how to be patient for the right opportunity, and how to get repairs done affordably. For first-time investors, Boardman helps you walk the line between speed and quality, to get a great home finished and on the market as soon as possible. Boardman’s approach is realistic and up to date. It is the least known of the books listed here, but it’s a perspective I have found quite helpful. I wish you the best in your house flipping adventures. It can be done, and there’s plenty of money to be made. Take care in your early investments to make sure you don’t shoot yourself in the foot. Read up and take your time. Before long, you’ll know more than most, and you’ll be ready to flip your first house for serious profit. Again, investing time and money to gather knowledge is better than paying the price for your ignorance. 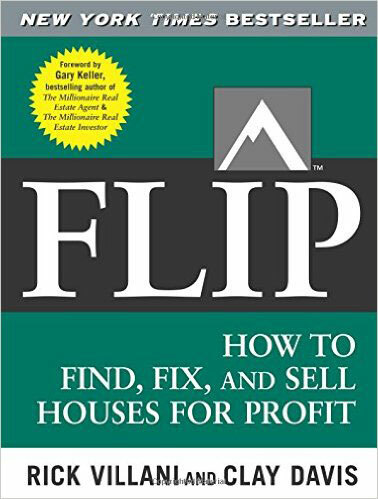 I’m currently looking for opportunities at “flipping” homes here in Australia, so I’ve been reading as much as I can. Unfortunately, the holding and closing costs in Australia make the opportunity very restrictive. This has been very much helpful and I would urge anyone looking into investing in this kind of business to read the above article. I hope the books will help me learn a thing or 2 along the way. Thanks for the helpful post. My neighbor is looking to move out fairly quickly and selling their house below market value. I am an architect and understand construction and design, but am not used to fixing up houses for a business venture.